In the shadows with OnePlus? The whole industry has problems! Like many other smartphone manufacturers, OnePlus has recently hit the headlines and hasn't come out looking so good. The number of blows has increased over the past few days. Their use of credit card data has already led people's trust in the manufacturer to deteriorate. The criticism from journalists and industry experts is also growing. But a close look reveals that not every scandal is real, and other smartphone manufacturers make mistakes as well and hardly learn from them. The industry has to change. OnePlus smartphones are undoubtedly among the best. It offers a software interface that is relatively close to stock, technically and graphically, which is something that I really appreciate (more due to habit than technological interest, I'll admit). The fast charging system (Dash Charge) lives up to its reputation, the battery fills up at phenomenal speed. Their prices remain affordable and are a real bargain if you consider the quality of the components. I also like using the devices and have had long tests with them. But the news of the last few weeks put a harsh damper on my impression of OnePlus. OnePlus is also a repeat offender when it comes to cheating on benchmarks. Here again, its defense is pretty outrageous. OnePlus claims that optimizing the device to have better scores on benchmarks doesn't count as cheating. One of the more recent reports about data transfers from com-oneplus.clipboard shows the extent to which the press is now opposed to OnePlus. Does the beta version actually send all the clipboard content to servers in China? The analysis of the clipboard found that this was only 'half as bad' as the Notebookcheck headlines. Recently, incidents have been reported that indicate that OnePlus customers have been the victims of credit card fraud. After payment on OnePlus.net – the only official distribution channel for smartphones – some users noticed further charges. It was only recently that OnePlus responded to the reports with a statement and an investigation. Too late. The reputation of OnePlus has suffered in my eyes. Above all, however, it is noticeable that the manufacturer often doesn't react to the criticism at a reasonable speed and to an appropriate extent. Manufacturers of smartphones often leave us in the dark for too long. News like the alleged credit card fraud spreads quickly on the net and the allegations are quickly regarded as facts or evidence. As soon as the frenzy starts, it becomes difficult for PR departments and journalists to objectify to the heated debate. But the press doesn't just have OnePlus on their hands. Samsung is employing minors. Apple wants to artificially limit the lifespan of its iPhones. The Note 7 was launched twice with a dangerously defective battery. Many processors from Intel, AMD and others have problematic vulnerabilities in their security. Manufacturers' statements are often meaningless or evasive. There are many reasons why the press has become sensitive. Once trust has been lost, manufacturers must more eagerly and quickly demonstrate that all the critics are wrong. We need contrary proof that can invalidate false reports. The damage done to reputations can often only be repaired again if brands continue to counteract the invalid claims. What can OnePlus do better? As a community-oriented company, OnePlus has an excellent opportunity to counteract the claims. Due to direct sales, their proportion of loyal customers is likely to be considerably higher than their competitors, whose products are stuck sitting in shop windows. These customers want to understand why decisions are made that affect their investments. OnePlus customers go directly to OnePlus when they make a purchase, and that's precisely why OnePlus can respond like no other when it comes to communication, no matter if it's just a newsletter or a post in the community forum that deals with press releases. What do you think of OnePlus? Does the company deserve another chance? The article was edited after publication. 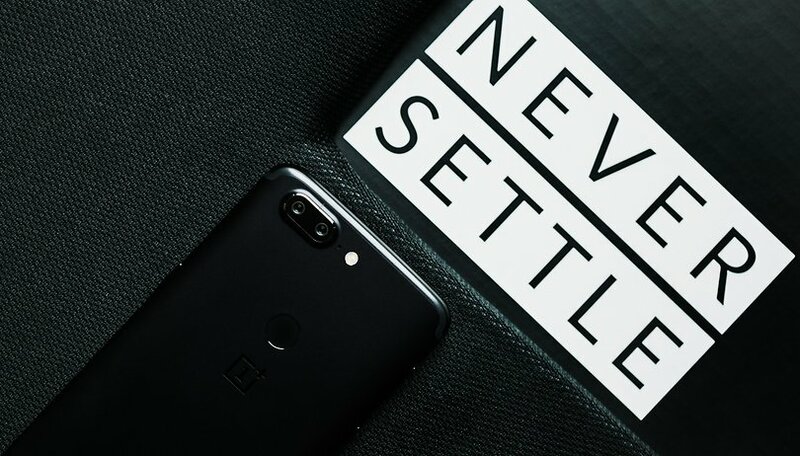 The headline and introduction have a focus on OnePlus, but the article is intended to discuss an overall problem in the industry. OnePlus makes impressive Smartphones; however; their Customer Service needs improvement! These valid criticisms need to be addressed before their reputation leads to their end (or OnePlus will cease - like CyanogenMod)! As for (baseless in my opinion) criticisms regarding ZTE and Huawei spying for China? That's a sham! I hope both manufacturers win over more Consumers (I've enjoyed using ZTE Axon7 and now have a shiny new Honor 7X)! Yes, those issues are EXACTLY like constantly lying o people. Seriously?? At this time, the whole smartphone industry has got exactly 3 problems: #1: Missing headphone jacks, #2 long and narrow displays ("18:9") #3 tinkered and outdated Android versions. I like what OnePlus has to offer but I don't see myself buying one of their phones cause they're not supported by my carrier. I'm not hearing anyone calling out Google. Google admits that they're collecting user data. Oh yeah, but in the interest of giving us meaningful info when we search. And yes I'm all in, recently picked up a pixel 2 and have been all in using many of the Google apps. But that's cause I like what they offer me as far as features and capability. It's a Corporation. Let me repeat: Corporation. Shareholders, high profile workers, board of directors and their CEO is what matters. As long as they are happy, the company will be fine... As for us, the consumers, as long as the product is competitive and attractive to us, we will be buying it. Nice article to read and there are many things that will bring a surprised looking face on many beads. But then, what is the alternative? Samsung, Apple and the rest are much more untrustworthy and expensive too. Don't get me wrong your right about it when comes to trust and loyalty: OnePlus has to consider and think about who also made them getting where they are at this moment, we the consumers. As long as they are honest to us when something went wrong and make a excuse, finds a way to make it good, I am willing to forgive them for making mistakes. Hoping that they will never settle so that we can enjoy new innovative products that can beat and match up with the all the dominant brands of this world. not sure of Samsung but Apple refused the FBI to help break into a customer's phone. I see that as a company siding with it's customers! Nope...gave up on them after the OnePlus One. I had the yellow stain problem (fixed it myself), they wanted it back AT MY EXPENSE for shipping! Plus they were going to charge me to fix it WTH?? They initially claimed to be a start up, which was a lie, it was going to have stereo speakers, which it didn't, when the yellow stain problem popped up, they blamed it on how they set the color of the screen to a more "warmer" color. Their "support" unless you live in Asia or the India region is pretty much non existent. Then they got caught capturing user data, and now credit card fraud problems. Are there any good Oneplus products? Well, their phones are good. if data collection bothers or troubles you. flash the one plus device with lineage 15 aka android oreo or one of the notable custom ROMs. then one plus is out of the picture. It's the lying and the fact that they aren't upfront and make excuses. I don't see myself ever buying OnePlus product. Wouldn't flashing LineageOS fix all issues with the data collection? Nice article. One that I feel has needed to have been written! I started with the oneplus one, then straight to the 2, but that's where they lost me. The whole nougat fiasco took away all credibility of the company. A company whom I rated so highly, boasting to friends about how much better it was vs any of theirs. Something major will have to change with that company for me to ever consider going back to them, even more so with today's climate of a wealth of superb phones available. Why ever would I? Still the best option as far as I can tell. Reminiscent of the early Nexus phones, with the freedom and features which allow customization at an affordable price point. Not stock Android but even better (is that possible?) in some ways. There's been some love/hate, mostly to do with poor customer service early on, but since Google has moved toward Appleization of the Nexus/Pixel line, I still see OnePlus as the best alternative.